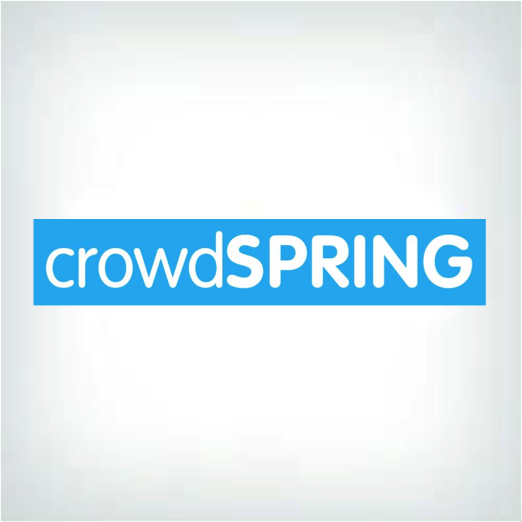 Connect with logo designers around the world on through this marketplace. Logos start at $5. Varying levels of skill. Fiverr facilitates the buying and selling of "Gigs" or micro-jobs online via its search engine platform. Potential buyers can search for many kinds of freelancers on Fiverr, including resume writers, graphic designers, and translators. ‘Gigs’ can be professional services such as website design, logo creation and market research but can also include things like personal greetings, sketching works, personalized gifts and whatnot. Fiverr enables so-called registered ‘micro-entrepreneurs’ in more than 200 countries use to the website to monetize their skills, talents and resources for as little as $5 per ‘Gig’, though they may offer additional upgrades to their service or sell it in multiples (based on their ‘level’) to bring in more cash as well. Fiverr gives companies looking for help in all areas of design the ability to access multiple designers who have experience in graphic design, online marketing, writing and translation, video and animation, music and audio, programming and tech, advertising and more. Access to these designers starts at $5. Prices can be higher based on the level of quality and the kind of package a customer purchases from a freelancer. Each Gig designer offers a short review of what kind of service they offer so it is easy to browse many designers at once as a customer finds a designer who can do exactly what they need. Once a customer narrows down their selection they can read each individual designers bio and bid information on their personal page. Fiverr is free to search. There is no charge or signup fee to access the designer pages and all additional prices are listed clearly on each designer page so customers can see how much they will be charged by each designer they are interested in. Anyone can set up a Fiverr account meaning not all work is guaranteed to be professional grade. Customers are working with freelance designers of all skill levels and need to do extensive research on who their choosing to work with before entering a designer contract. Once customers choose a designer, they work directly with the designer and not through Fiverr. There is no customer support from the Fiverr site if issues arise. Each designer sets their own job requirements in terms of turnaround time and feature options, like how many free revisions are offered. Because of the high level of variability, it is difficult for customers to find consistent information. Not all designers are based locally. It is an international company, so there can be a communication gap between customer and client. As an online directory that matches clients with designers, Fiverr provides customers with a vast selection to choose from. They put a lot of control into the hands of the customer and give them access to multiple designers, which is an option that companies that hire their own in-house designers can't offer. However, this vast directory is not regulated and anyone can offer services claiming they are a professional. Without a structured way to control designers experience many previous customers claim that their satisfaction with Fiverr has been hit and miss. 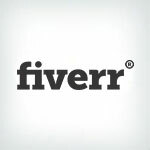 For smaller jobs, or if a customer is willing to really take the time to research the specific designer they are looking to hire, Fiverr would be a great option. For full service designs and major business identification needs a customer may want to go with a company who has more guaranteed design experience. STAY AWAY from Fiverr, most of the so call "designer" in Fiverr are a joke. the work they deliveried was terrible, I am no designer, but i can do a lot better job than most of them on a software call "paint". the money refunded have to stay in Fiverr for future use, this is the biggest joke. looking for a designer for your logo, STAY AWAY from Fiverr, LOOK ELSE WHERE to save you time and money. I’ve used Fiverr several times and have had good experiences in every case. Sometimes the time difference between myself and the person doing the work delays the product being finished because by the time we would communicate back and forth it takes a lot longer. But overall they’ve been great to understand what I’ve wanted done. I recently got in the market for a logo. After shopping around i decided to go on fiverr and find a reputable designer that I could contract. I took a few days and weeded out all the obviously bad ones quickly. I interviewed 3 designers and picked one based on previous reviews, level of understanding of my request and response time. I laid out what logos i needed and for what, social media, business cards, etc. The designer made it clear that she understood what I was requesting and that she could size them appropriately and deliver it in 3 days. I waited 3 days and upon waking up I noticed my order had been submitted by the designer. There were 3 image files. Upon opening them i realized they were all identical with my company names font being the only changes. I made very clear requests as to the type of designs and what I wanted in the background and all this was ignored. After expressing my displeasure she assured me that a new design would be delivered in a couple hours. The next day I asked for an update, same response, 'just a few more hours.' The next day I asked again. After about 8 hours I got a response saying she had been in an accident and never even started the designs. Someone had just turned in crap and tried to pass it off. It took me several more hours to re-explain what I wanted in my logos. I definitely didn't get what I wanted and got everything I was trying to avoid. To make matters worse fiverr customer support is a joke. I contacted them multiple times explaining my displeasure and that I just wanted to shop for a new designer. No-one actually helped they just said you can cancel an order at the top right of the order page, except that's not available on the app. Just avoid at all costs. Fiverr is the best. For my company, we outsource a lot of content to be written by professionals and this is one of the best places to do it. It's real people who live in the US and aren't working some scam outside of the country. I've never had a problem with them and the work they've done and I would recommend them for any work that you need done. Nothing on this site costs $5.00 because there is a .50 cent fee added on before you even start. I could not get my designer to commit to designing any part of my gig for $5.00. I believe it is a scam in which there are add on fees. This was such a waste of time and energy. I would not recommend this site...EVER! Really bad service, rude and no end result. I paid $110 and no one wanted to help me with my concerns.